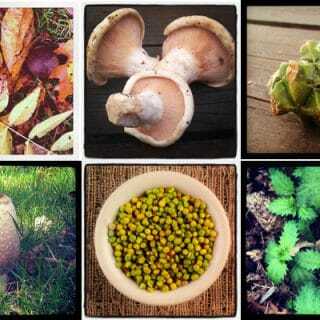 Mushrooms are by their very nature mysterious ingredients. 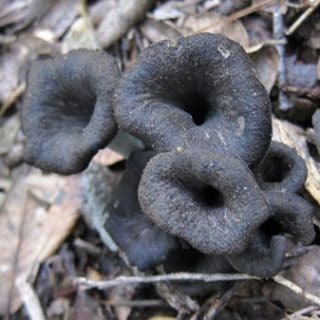 Beautiful, strange, slightly scary — in some cases very scary — whole cultures avoid mushrooms out of fear. Obviously I don’t fall into that category. I’ve yet to meet a mushroom I hated, although those slimy canned things in the mega-mart may qualify. Whether it is the majestic porcini or the simple button mushroom, I love them all. 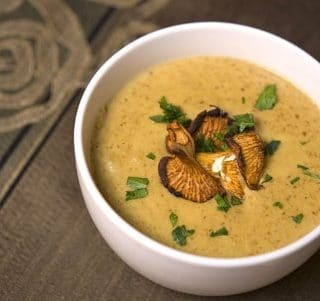 Below you’ll find a great many mushroom recipes, ranging from those you can make with any supermarket mushroom, to more exotic wild mushrooms. 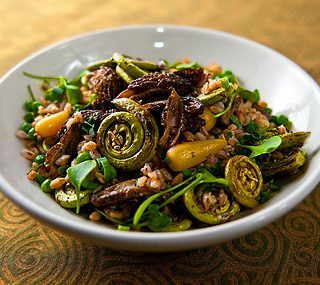 The recipes also range from super easy, like Provencal button mushrooms, to esoteric, like a warm salad of morel mushrooms, fiddleheads and ramps. Enjoy! Traditional Polish dumplings filled with wild mushrooms (or any other kind of mushroom), and served with caramelized onions, dill and sour cream. 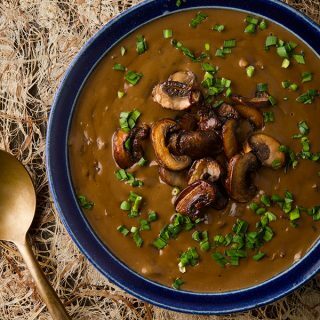 This is the real “cream of mushroom soup,” one you’ll be proud to serve anyone. 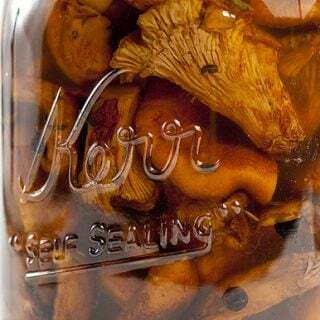 This is by far the best way to preserve meaty mushrooms like porcini, chanterelles, or horse mushrooms. 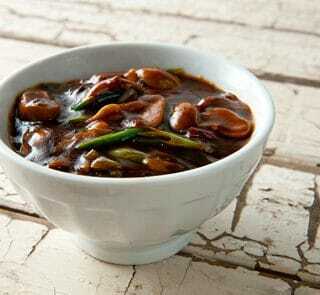 It also works with cremini mushrooms from the store. An old Polish method of preserving mushrooms (usually saffron milk caps), that makes a great, salty accompaniment to beer, bread… or vodka. 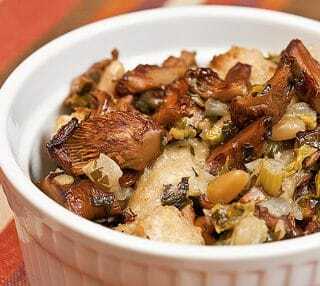 A fantastic side dish or vegetarian dinner made with wild rice and any mushrooms you have on hand. Sauteed, chopped mushrooms mixed with pesto and stuffed in a grape leaf. An awesome appetizer. 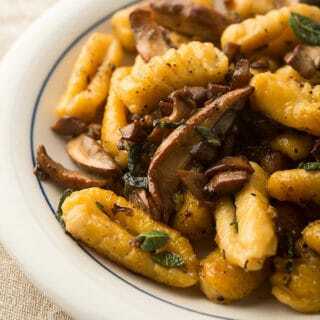 Wild mushrooms tossed with homemade squash gnocchi. 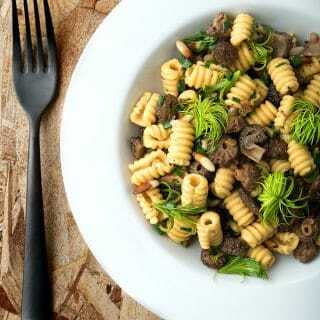 A rich, Italian-style mushroom ragu, served with cavatelli pasta. 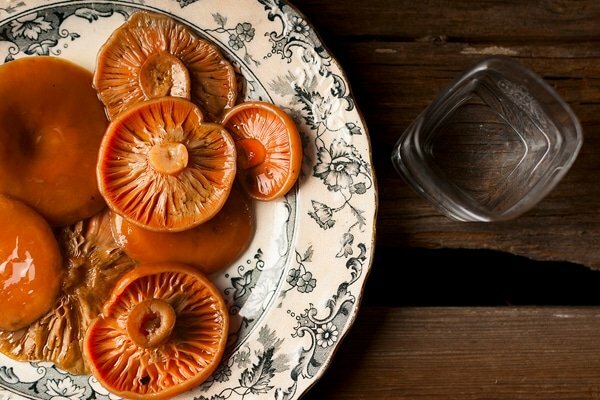 What you need to know about cooking with springtime porcini, which are a little different from the fall varieties. My favorite? A sort of grilled porcini salad. 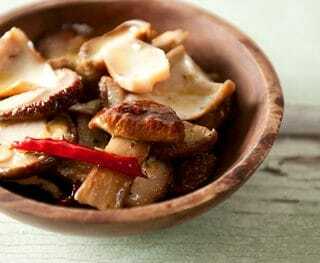 Pretty porcini sliced thickly, grilled over a hot fire and served with green onions, lemon zest and preserved garlic. 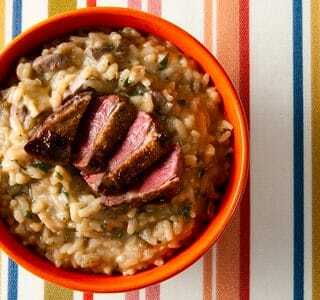 A kicked up risotto made with both fresh and dried porcini and topped with seared squab or duck. Another “porcini double,” as there is porcini powder in the pasta and fresh porcini in the filling. 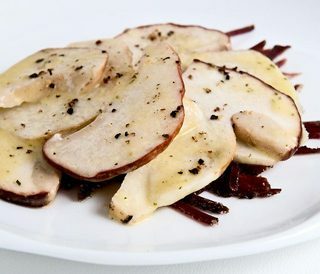 Not for everyone (some people get an upset stomach from raw porcini), but if you can eat them, this is the way to go: Simple with oregano vinaigrette and prosciutto. 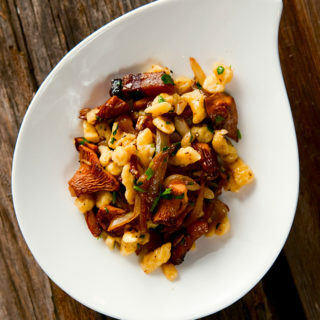 A gorgeous autumn dish with fresh chanterelles, homemade spaetzle, pine nuts and garlic. 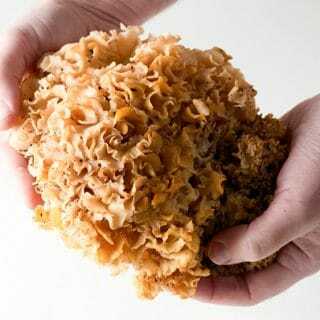 What to do with chanterelles in summer? 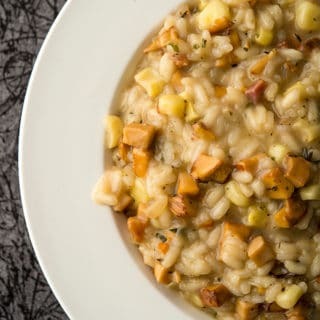 Mix them with corn, which is a classic pairing in this Italian rice. Quite possibly the sexiest soup ever made. 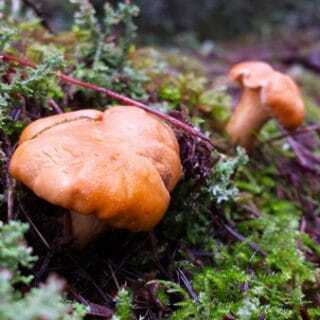 Chanterelles are not very good dried, but they are excellent pickled! 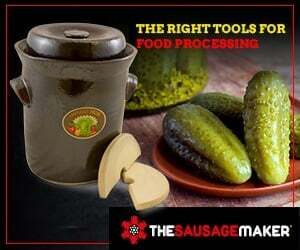 A holiday classic for us, this is how we make our Thanksgiving dressing. 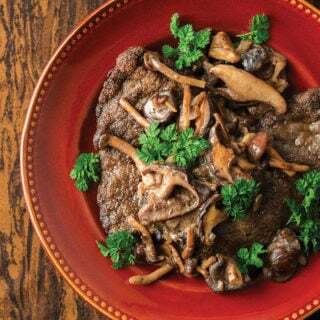 Called pfifferling in German, chanterelles are the best mushroom for making jaegerschnitzel. 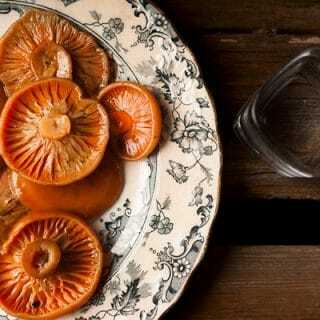 A primer on working with chanterelle mushrooms in various ways. 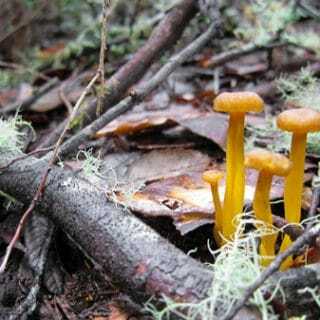 Learn about this lesser-known chanterelle and you’ll covet them as much as regular ones. The classic. This is the way most Midwesterners eat their morels, and they’re not wrong. 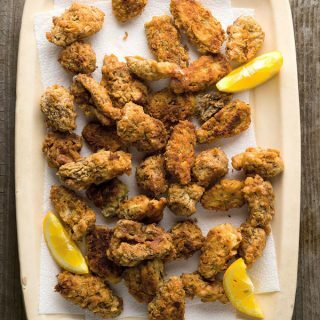 The flour coating really helps seal in the true flavor of the morels. 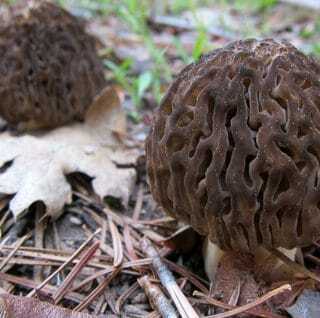 Tips on how to find, harvest, and store morel mushrooms from burn sites in the West. 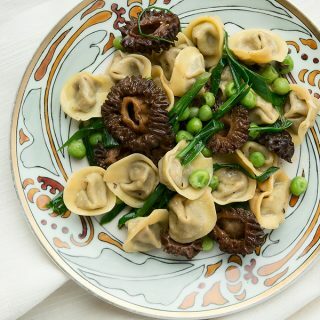 Little packets of love, filled with a mix of morels (or any other mushroom) and ricotta cheese, served with more mushrooms, peas and green onions. 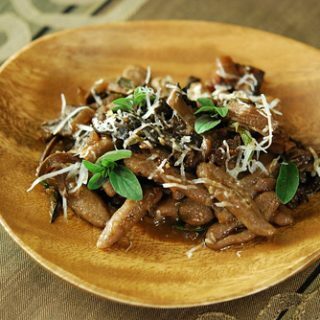 Morel mushrooms with homemade pasta, pine nuts and spruce tips. It’s as good as it looks! I made this dish every spring. 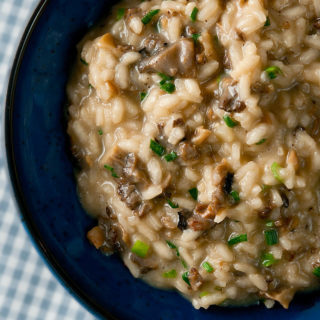 Morels, like most mushrooms, are perfect for an Italian risotto. There is a reason these ingredients are so good together. They just work. 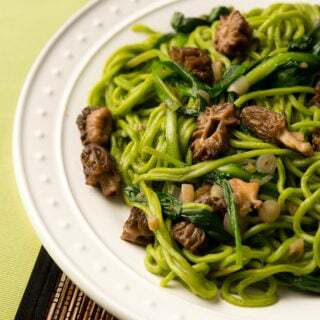 Green pasta made with pureed ramps served with fresh morels. 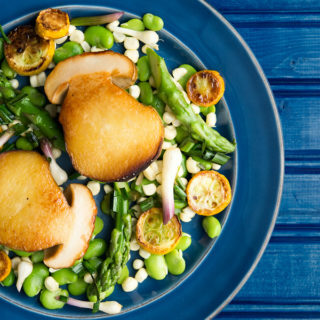 It’s spring on a plate! 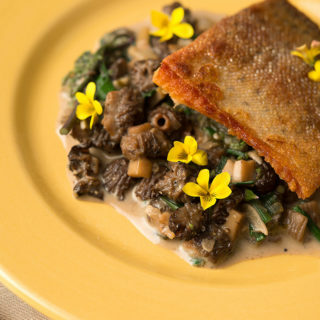 Morels, wild onions and bracken fiddleheads served with simply seared trout or salmon. 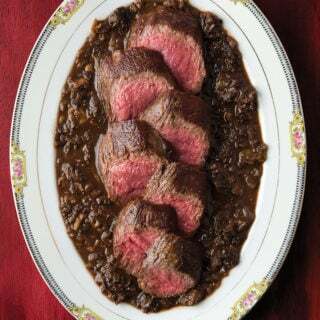 A richer, darker morel sauce to go with venison backstrap. 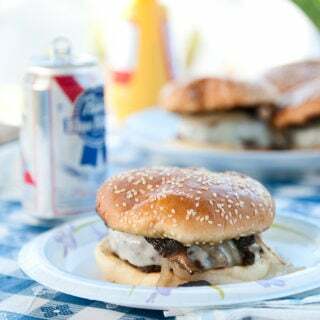 Again, the pairing of morels with venison, this time I use dried morel powder in the burger mix and then saute morels for on top of the burger. It’s pretty awesome. 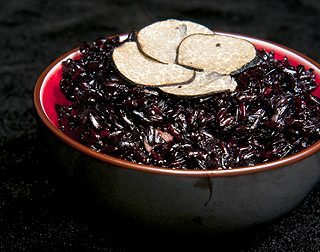 Black rice “risotto” with black trumpet mushrooms. Eerily good. 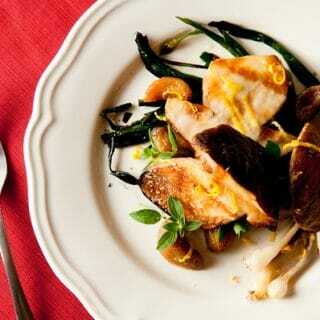 A trio of winter mushrooms: Black trumpets, hedgehogs and yellowfoot mushrooms, served with a parsley sauce. 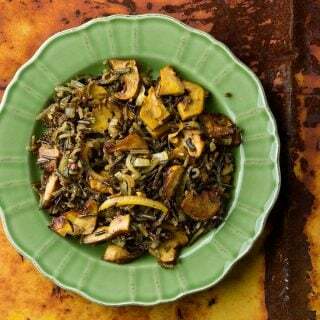 This is right out of the bible of French haute cuisine, Escoffier’s “Le Guide Culinaire.” Wild meadow mushrooms, sauteed with garlic, olive oil, lemon and parsley. 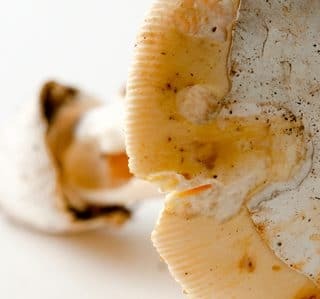 What you need to know to identify and cook this amazing edible mushroom! 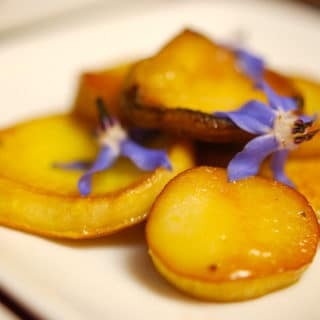 King trumpet mushrooms (which are store-bought, not wild) sliced and sauteed in spiced butter. They look exactly like fried potatoes. 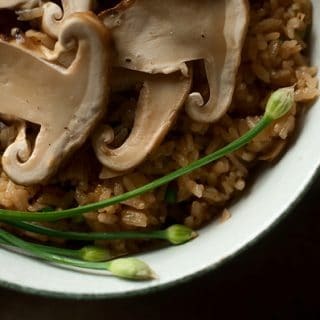 One of the most classic matsutake mushroom recipes there is – it’s a deceptively simple Japanese rice dish. Puffballs are kinda like tofu, so why not make a classic spicy tofu dish — ma po tofu — using puffballs instead of tofu? 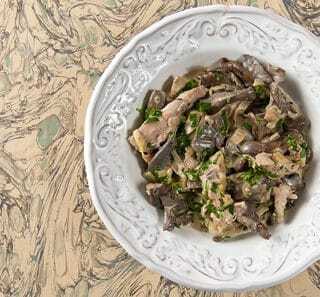 This recipe showcases the pretty lilac-colored blewit mushroom, but you can use regular button mushrooms, too. 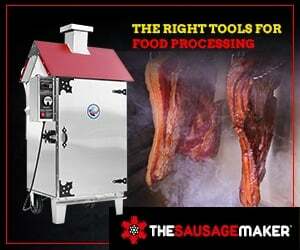 And you can use chicken instead of pheasant. 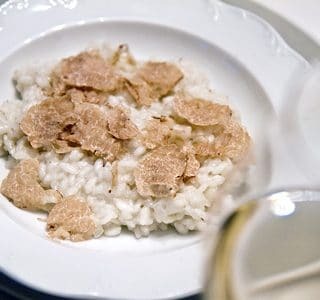 A classic dish from Alba, in Italy. Only I use wild Oregon white truffles. So decadent. So good. 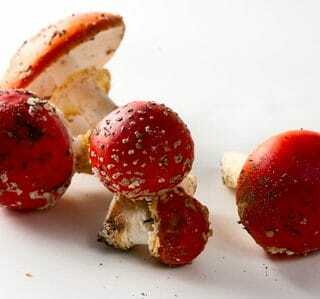 How to safely eat Amanita muscaria by leaching out the hallucinogenic compounds. 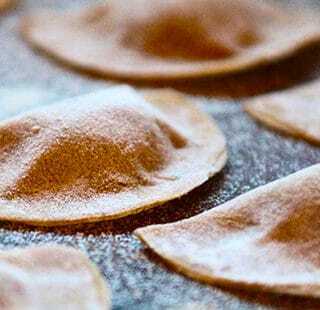 Once you do this, these mushrooms taste great! This is a big, edible amanita that shows up in springtime here in the West. Here’s how to identify it safely. Once you do, it is well worth eating. My favorite mushroom of all time. 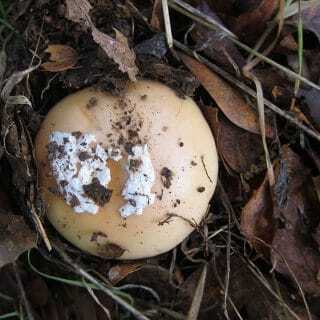 Amanita velosa is another springtime mushroom, daintier than vernicoccora and better tasting. Here’s why I love it and how to ID it. You’ll find all kinds of help foraging for wild edibles, as well as recipes for every sort of foraged food you can think of, right here on Hunter Angler Gardener Cook! Evelyn: Super inaccurate, sorry. 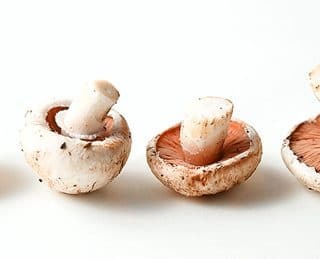 You need to know your mushrooms much better than that to pick safely.